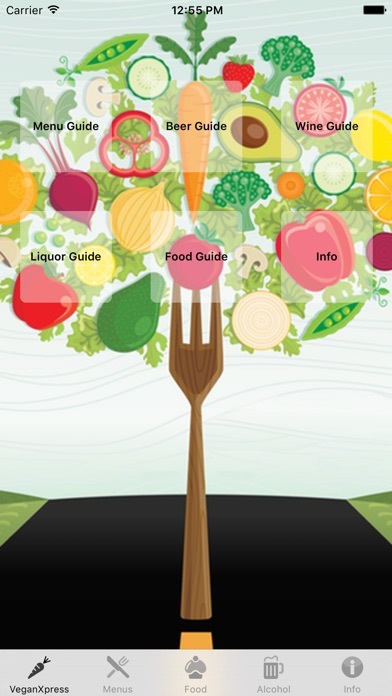 VeganXpress is an on-the-run guide to what’s vegan at popular chain restaurants and fast food places. Now, no internet connection required! 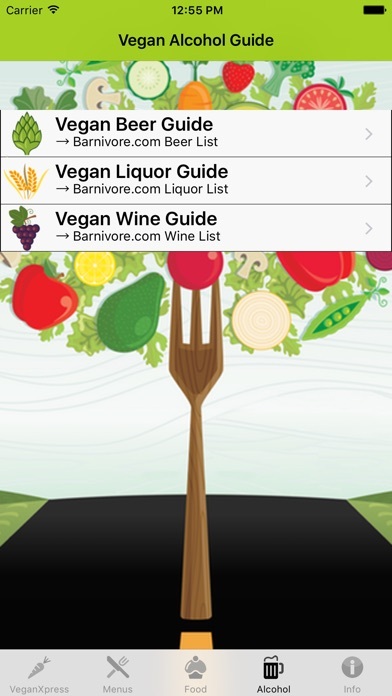 **************** Featured on Beyond Meat's Blog - How to Buy Vegan Wines 12/10/15 Featured on TUAW's Essential iPhone Apps for vegans 11/12/10 "This app is the perfect companion for vegans on the road." Bob Torres, Vegan Freak Radio "VeganXpress is a nice guide to have." AppCraver "I have used it a few times, and in my mind, it has already paid for itself." QuarryGirl AppReview.com gave VeganXpress it's "Better" rating. 7/2/09 **************** VeganXpress also features a full list of vegan / vegetarian beers, wine, liquor, snacks, candy and foods that you may not have realized were vegan. Vegans often find themselves looking for a place to eat with non-vegan friends, family or coworkers, and the search can be somewhat difficult. 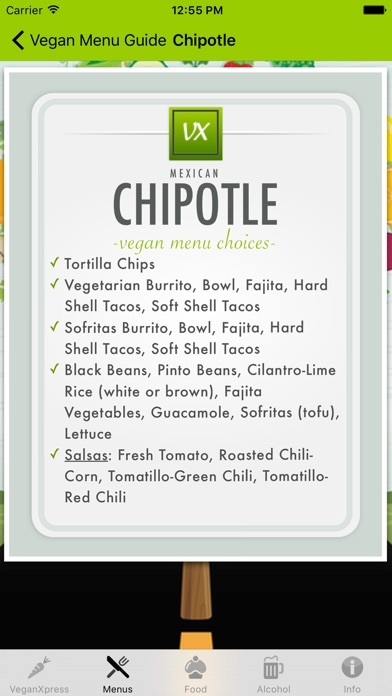 While the population of vegans is growing, most restaurants do not specify which menu items are vegan. 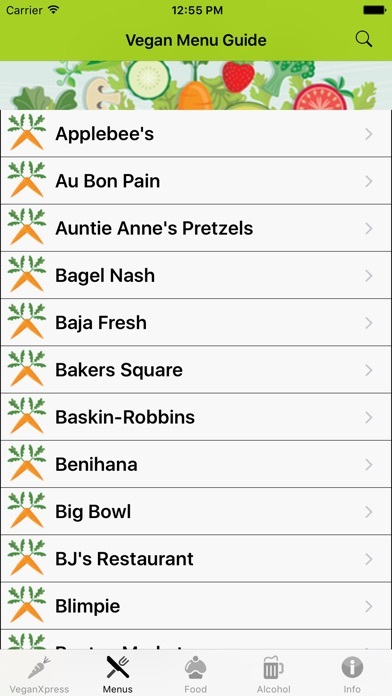 This app lists over 130 very common restaurants and their menu items suitable for the vegan diet. Whether you’re on a road trip, in a hurry, or looking for a place to eat with family or friends, you will be able to quickly find vegan options. VeganXpress is updated regularly, so feel free to contact me with updates or new info that you may have. Follow VeganXpress on Twitter for live updates and information. UK and other international customers: Help us out by suggesting restaurants you would like to see listed in VeganXpress! Thank you! Not supported any longer. App no longer works for me. The Pizza Hut and Starbucks both day updates and won’t load, which is disappointing and I just wonder how current this info is. Need something more current and it would be helpful if it worked correctly.